A growing need for nursing services means great job prospects for aspiring LNAs. The current demands for health care, especially among the senior population, is just one reason job opportunities for LNAs are ranked above average. LNAs manage patients’ physical, mental and emotional needs. They assist with the activities of daily living, including dressing, bathing, feeding, and personal hygiene. They also move and position bedridden patients, assist with range-of-motion exercises, and serve meals. Patients’ mental and emotional needs are equally important to their comfort, quality of life, and rehabilitation. LNAs meet those needs by forming an emotional bond with patients and providing ongoing support and comfort. 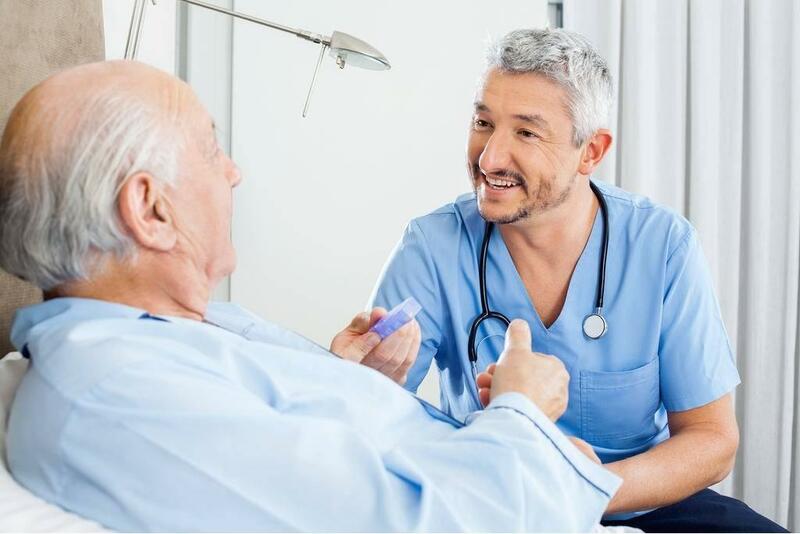 The licensed nurse aide programs at vocational technical schools, nursing homes, adult education centers, and hospitals in Burlington, Vermont, prepare students to provide competent and safe care to patients in hospitals, nursing homes, and long-term care facilities. Graduates of the nurse assistant program at the University of Vermont Medical Center go on to work in the facility, assisting patients with personal needs. They also monitor patients, take vital signs, collect specimens and report data. The comprehensive training and support that UVM provides set the foundation for graduates to advance to registered nurses – almost 93 percent of graduates go on to earn a registered nurse license. The curriculum combines classroom, lab, and clinical experiences in acute and medical-surgical settings. Over a period of 5 weeks and 172 hours, students gain all the knowledge and skills they need to pass the written and skills components of the state certification exam and work as LNAs. Classes meet Monday through Friday for 4 to 8 hours. Clinical sessions take place in specific units at the Medical Center Campus from 7:00 am to 3:30 pm. Prospective students must first obtain an LNA Trainee position at the UVM Medical Center. Vacancies will be posted when the Center is actively accepting applications. The course concludes with a mandatory 4-hour skills practice to prepare graduates for success on the certification exam. The American Red Cross prepares nurse assistant students for one of the highest demand jobs in the state. Throughout the comprehensive program, students learn how to care for patients in acute care and long-term care settings. Flexible day and night classes are available for students’ convenience. Day students complete the training requirements in just nine weeks and have a solid foundation in health care, which they can build upon to become licensed practical or registered nurses. Phlebotomy classes are available for graduates who successfully complete the 150-hour program. Graduates of the Vermont Board of Nursing approved program are eligible to take the state competency exam to practice as Licensed Nursing Assistants. Applicants must be 16 years or older and successfully complete the screening exam and personal interview. A mandatory information session will provide full details on the course requirements, including the requirements for beginning the clinical component of the program. Tuition for the program is $650, including CPR/FA and AED certification – students must pay 50% down at registration. The LNA Training Program at the Essex Center for Technology emphasizes safe and effective practices for nursing assistants. The didactic and practical training teach students the essentials of nursing and patient care, ethics, communication, and body mechanics. Graduates are prepared for success on the state licensing exam. Students meet Tuesday and Thursday nights for eight months. There is also a Saturday class option for individuals who prefer weekend classes. The extended hours and slow pace are especially beneficial to working adults who speak and write English as a second language. In the classroom, instructors work one-on-one with students covering topics such as the basics of nursing, range of motion, medical terminology, laws and ethics, transferring patients, mental health concepts, hospice care, communication and interpersonal skills, patient hygiene, infection control, and vital signs. Supervised clinical experiences take place at the Green Mountain Nursing Home where students have lots of opportunities to care for patients. Applicants must pass a criminal background check, demonstrate a ninth grade proficiency in English, and attend an orientation session. Students accepted into the program must make the full payment of $1,200 prior to the first day of classes. The nurse assistant course at the Patricia A. Hannaford Career Center is targeted to adults seeking an entry-level career in the healthcare industry. The program equips students with the competency and skills to pass the State Board certification exam for immediate employment as Licensed Nursing Assistants. Applicants must pass a criminal background check, physical exam, drug screen, and TB test before enrolling in the program. Students must also present signed verification of immunization/titers to the course instructor. The curriculum comprises of lectures and live demonstrations in the classroom, hands-on opportunities in a simulated lab, and supervised clinical experiences caring for patients at a skilled nursing facility. Tuition is $1,920. Call the center for a current schedule and availability of classes. Financial aid is not available for this program. VNA offers nurse assistant training to persons interested in a career in health care. Experienced instructors use a combination of classroom and hands-on learning approaches to prepare students to provide direct patient care services. Graduates are eligible to take the state certification exam and accept part-time or full-time opportunities available at VNA. New classes begin monthly. Applicants accepted into the program need to complete an employee medical record and health care information including documentation of immunization. The Licensed Nursing Assistant program at the Barre Technical Center is open during the summer and accepts 8 students for each session. Students are accepted on a first come, first serve basis depending on qualifications. Applicants must be 18 years or older and have the physical abilities to meet the demands of the job. Other requirements include a completed Vermont Board of Nursing Application with a current passport photo (2” x 2”), two valid forms of ID, TB test results, written proof of Hepatitis B vaccination, and payment of the state license and exam fees. Tuition for the program is $1,100 plus $150 for the state license exam. The course textbook is included in the tuition. However, students must purchase scrubs and clinical supplies. Qualifying students may be eligible for a grant through VSAC, which will cover the cost of tuition. A tuition payment plan is also available to all students.